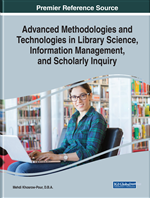 This chapter determines the overview of digital literacy and ICT competency, the encouragement of digital literacy in the information age, and the encouragement of ICT competency in the information age. The encouragement of digital literacy and ICT competency is essential for modern organizations that seek to serve suppliers and customers, increase business performance, strengthen competitiveness, and achieve regular prosperity in the information age. Thus, it is required for modern organizations to encourage their digital literacy and ICT competency and develop a strategic plan to regularly investigate their practical improvements toward satisfying customer requirements. The chapter argues that encouraging digital literacy and ICT competency has the potential to enhance organizational performance and achieve strategic goals in the information age. Technology Acceptance Model (TAM), such as Unified Theory of Acceptance Use of Technology (UTAUT), explains the degree of acceptance of the utilization of information technology (IT) toward adopting the technological infrastructure (Nchunge, Sakwa, & Mwangi, 2013). TAM helps managers and decision makers to evaluate the success of the acceptance of technology to the organization, and motivate users to accept the systems. UTAUT identifies four key factors (i.e., performance expectancy, effort expectancy, social influence, and facilitating conditions) and four moderators (i.e., age, gender, experience, and voluntariness) concerning behavioral intention toward utilizing technology in organizational contexts (Venkatesh, Thong, & Xu, 2016). Digital literacy refers to the variety of literacies associated with the use of new technologies (Mohammadyari & Singh, 2015). Digital literacy is a fundamental life skill in today's knowledge economy and information society (Bawden, 2001). Digital literacy constitutes new practices rather than new instances of established practices (Simpson & Obdalova, 2014). Proficiency in digital literacy refers to the ability to read and write using online sources, and includes the ability to select sources relevant to the task, synthesize information into a coherent message, and communicate the message with an audience (Bulger, Mayer, & Metzger, 2014). Appel (2012) defined digital literacy as the ability to find and analyze information by using computers.